A number of other excellent organizations recommend DornerWorks to help you create your standout products, and get your projects done right. Premier Alliance Program Members are Xilinx’s most distinguished Alliance Members providing electronic design services. All Premier Members have been qualified by Xilinx through a 320-point onsite audit, maintain FPGA experts who have passed the same rigorous training as Xilinx Field Engineering worldwide, receive specialized support and Early Access training from Xilinx, and collaborate in other areas with Xilinx. Working with a Premier Alliance Program Member helps accelerate the design process while minimizing risk to your project. As part of our Premier Design Partnership with Xilinx, we also have engineers trained and certified in using the UltraFast Design Methodology, offered by Xilinx to enable accelerated and predictable design cycles. Now in its second edition, the UltraFast Design Methodology includes new best practices for Vivado’s support of 28 nm and 20 nm devices and covers all the aspects of board and device planning, design creation, implementation, design closure, configuration, and hardware debug. Our team is equipped to help you implement the latest FPGA technologies efficiently. The NXP Partner Program is a vast network of independent engineering companies that offer the vital tools, software, technology, and engineering services to bring NXP-based solutions to their customers. As a Proven Partner, we are recognized by NXP as offering the knowledge and experience to enable and implement total system solutions. Our experience designing with NXP components includes circuit design, system firmware, and application software for numerous processors and architecture families, ranging from the HCS08 and ColdFire through the i.MX series and the QorIQ series. 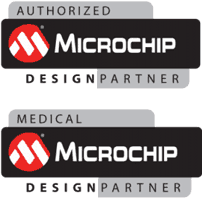 DornerWorks is a registered Microchip Design Partner. The Design Partners Program is designed to help Microchip clients find a third-party design firm that meets their criteria to help them bring products to market.DornerWorks is also one of three Microchip Medical Design Partner Specialists worldwide. Microchip’s Medical Design Partner Network assists medical design companies with the latest Microchip technology. Wind River® is a global leader in delivering software for the Internet of Things. The company has been pioneering computing inside embedded devices since 1981, and its technology is found in more than 2 billion products. Wind River offers a comprehensive portfolio of solutions for addressing the system-level challenges and opportunities of IoT that is backed by world-class global professional services, award-winning customer support, and a broad partner ecosystem. DornerWorks provides an open source hypervisor solution that supports the VxWorks RTOS. With Wind River and DornerWorks, customers can enable their complex multi-core platforms and support their VxWorks-enabled applications quickly, so they are free to focus on the application and function of their products. To learn more, visit Wind River at www.windriver.com. Xively, one of our trusted partners in the IoT space, provides a robust and reliable communication platform for many different clients, each with their own unique profile of CRM and product behavior. Companies looking to develop their next stand-out IoT product come to DornerWorks for secure hardware and software solutions, and we’re happy to connect them to Xively, who help those solutions connect with each other. To learn more, visit Xively at www.xively.com. The Intel FPGA Design Solutions Network (DSN) is an ecosystem of experienced, independent worldwide companies that provide customers valuable products and services that complement Intel’s FPGA, SoC and Enpirion semiconductor devices. As a DSN Gold member, we offer a broad range of products and services to help customers accelerate product development and reduce time-to-market. DornerWorks is a National Instruments Value added Reseller (VAR) and a specialist in safety-critical embedded electronics design and development, providing engineering services for the aerospace, medical, automotive and industrial markets. Our staff is experienced in both National Instruments hardware and software solutions, including LabVIEW and TestStand. For seamless integration of embedded software and hardware, updates to existing systems, or creation of new systems, DornerWorks delivers what you need. With a leadership position in the safety critical markets of Aerospace, Medical, Automotive, and Industrial, Actel/Microsemi has chosen DornerWorks to be a member of the Solution Partner Program. Microsemi is the leader in low-power FPGAs and mixed-signal FPGAs, offering the most comprehensive portfolio of system and power management solutions. DornerWorks is the first company in Michigan to meet the Solution Partners Program requirements by demonstrating a high level of expertise with Microsemi FPGA’s. GR Current (formerly West Michigan Science and Technology Initiative) is the leading business incubator for life sciences and emerging technologies in West Michigan, providing the space, resources, capital, and connections to help evolve startups into standalone businesses. 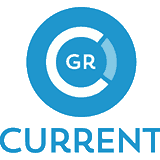 By helping to bridge the transition from basic discovery to a sustainable business, GR Current drives commercial solutions for high-growth industries such as health and life science, alternative energy, advanced manufacturing, agricultural processing and defense. 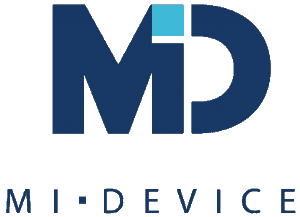 MiDevice (formerly West Michigan Medical Device Consortium) is the only Michigan-based organization dedicated solely to medical device design, development, manufacturing and distribution. The Consortium works to speed the growth and development of medical devices by emphasizing and encouraging collaboration among members to meet overall product lifecycle and supply chain needs. We are leveraging these competencies to grow the medical device industry in the region into a nationally recognized medical device cluster. The IEEE West Michigan Consultant’s Network (WMCN), an affinity group of the West Michigan chapter of IEEE, exists to help businesses and consultants find each other, and to offer a networking tool for independent consultants and contract engineers to share and learn from each others’ experiences. DornerWorks partners with IEEE WMCN for a local pool of consulting resources for both short-term contract placement and internal problem-solving needs.